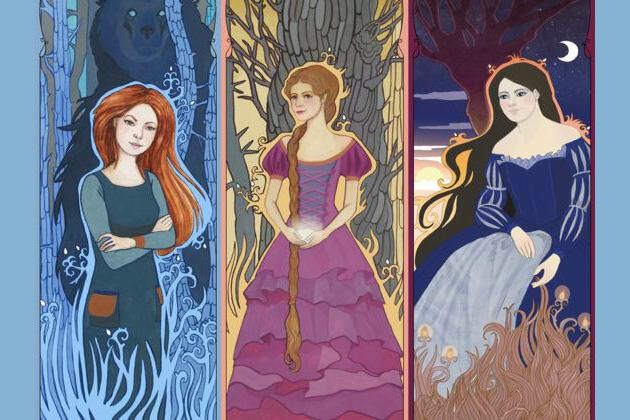 Which "Wilderhark Tales" Princess Are YOU? What do you look for in a prince? What’s your favorite part of an adventure? How do you feel about becoming queen someday? You have your beastly moments when your emotions get the better of you. But those who can see past your wild nature may come to love your passionate heart. More than a princess, you are a true queen of a woman. Yours is a rare maturity, though you’re not above a bit of silly fun – in the appropriate time and place, of course. Pretty of face you well may be, but your truest beauty shines from within. It’s all right if you don’t always remember your worth; every discerning eye around you sees it clearly. You dare boldly and dream big … which may occasionally land you in hot water, but hey – nothing ventured, nothing gained! You’ll take art over adventure most any day, prefering to leave facing down monsters and taking on magic to better-qualified others. It’s not that you’re weak, but that your strengths lie elsewhere. They may all be fairytale royals, but there’s nothing cookie-cutter about these leading ladies. Find out which heroine you most resemble from the Wilderhark Tales novellas by Danielle E. Shipley!